Two journalists working on a weekly newspaper revived just last month are among five editorial staff at risk in the latest cutbacks by a regional publisher. Newsquest are seeking to make three roles redundant at the Northern Echo’s offices in Darlington. HTFP understands three newsdesk positions at the regional daily will be reduced to one under the proposals, while one of two copy editor roles working on associated weekly titles the Darlington & Stockton Times and the Despatch series is also under threat. 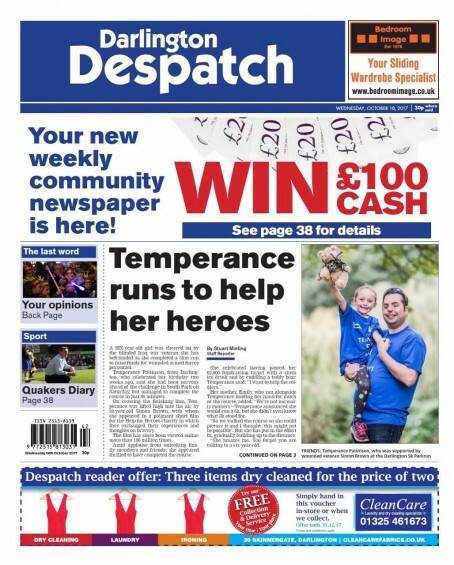 Newsquest relaunched the Despatch as a weekly in October, more than 30 years after it was last published as an evening sister title to the Echo. It is understood affected staff will find out about their roles the week before Christmas. Elsewhere, Newsquest has also confirmed it is making redundancies in the advertisement creation department at NWN Media in Mold, North Wales. It is understood 20 roles are at risk at NWN, which the company purchased in September, with production being moved to Oxford. The latest plans come after HTFP reported yesterday that Newsquest is planning to shut the office of the Wilts and Gloucestershire Standard, in Cirencester, while four jobs are also at risk in the South-West of England. The company has also opened a voluntary redundancy scheme at the Isle of Wight County Press, which it purchased in July. But Newsquest insists the announcements are individual business decisions taken locally, rather than part of an ongoing group-wide programme of cutbacks. Yet another day and yet another round of job cuts and redundancies at Newsquest who are becoming known as the take over and dump staff publisher , what’s this now the third NQ paper this week to have staff axed? When the spokesperson says it’s a locally based decision not “ part of an ongoing group-wide programme of cutbacks” they’re fooling no one, it’s come down from a universal brief to cut jobs to reduce costs and always just before Christmas. If I were a NQ staffer I’d be getting my cv updated and on the look out for another employer as one thing for sure this isn’t the last of the NQ job cuts announcements we will be seeing this side of Christmas and into the new year. Commiserations to those about to be dumped butnin many ways you’re the lucky ones. I wonder what the overall number of redundancies, made by Newsquest, in the run up to Christmas will be? The week before Christmas – cruel.